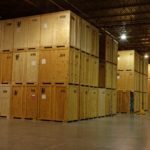 Woodland Moving and Warehouse provides origin and destination forwarding services for corporate, government and residential international relocation. As our global economy continues to grow, more families and companies are relocating abroad. Moving internationally holds a lot of appeal for many people; living in another country brings the promise of opportunity and a fresh start. There are many challenges involved with deciding to move internationally, such as navigating the international housing market to find the perfect new home, learning about another culture, and saying goodbye to your current friends. Once you’ve conducted all the necessary research and completed your to-do list, all that’s left to do is physically move to your new home. Moving is already stressful to begin with, but moving to another country is an entirely different experience than local and interstate moving. 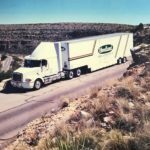 An international move requires a lot of logistic planning and preparation, with everything from passport acquisition to understanding shipping costs and everything in between. All of these extra necessary steps can make the international moving process seem overwhelming. At Woodland Moving and Warehouse, we believe that despite the extra work that goes into moving internationally, the process should be straightforward, exciting, and fun from start to finish. 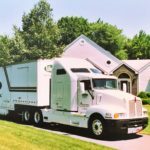 This is why we are proud to offer full-scale residential, corporate, and government international moving services in West Hartford.